The Royal Netherlands Meteorological Institute (KNMI) presented in 2006 four climate scenarios for the Netherlands that picture changes in temperature, precipitation, wind and sea level for the period 2036-2065 compared to the base line 1976-2005. 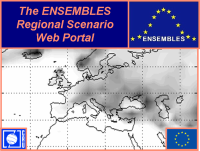 The scenarios were constructed by combining results from global and regional climate models and observational series. The scenarios are called G, G+ (Moderate: involving 1°C global temperature rise), W and W+ (Warm: involving 2°C global temperature rise). The symbol + stands for significant change in air circulation patterns. The Netherlands Environmental Agency (MNP) uses IPCC story lines for the construction of socio economic scenarios. The G and G+ scenarios match better the story lines B1 and B2 while W and W+ match better the story lines A1 and A2. Examples of impact application sectors include river basins, energy, agriculture and air quality. The 2009 supplements review the 2006 scenarios in view of more recent research. The Report Climate Change in Portugal. Scenarios, Impacts and Adaptation Measures (Project SIAM) published in 2001 summarised the impact of climate changes, recommendation measures for adaptation and priority needs for further research in Portugal. The study was mainly based on regional climate change simulations produced by the Hadley Centre HadRM model, for the time interval 2080-2100. The emission scenario used was IS92a. The application sectors relate to water resources, coastal zones, agriculture, health, energy, forest and biodiversity and fisheries. The Report Preliminary Assessments of the Impacts in Spain due to the Effects of Climate Change (Project ECCE) published in 2005 summarised the main impacts of climate change in Spain under the IPCC scenarios A2 and B2. Climatic projections were obtained for the periods 2010-2040, 2040-2070 and 2070-2100 and base-line 1961-1990 using six global climate models (including HadCM3 and HadAM3H) and more detailed projections, using the regional climate model PROMES for the period 2070-2100. The impacts relate to terrestrial, inland aquatic and marine ecosystems and the fisheries sector, plant and animal biodiversity, hydric and soil resources, forestry, coastal areas, natural hazards of climatic origin (flood, slope instability and forest fire risks), the energy, tourism and insurance sectors and human health. The report was carried out under an agreement between the Ministry of Environment and the University of Castilla-La Mancha. Climate change scenarios in the UK are provided by the UK Climate Impacts Programme (UKCIP). The UKCIP02 scenarios were published in 2002. The new UKCP09 projections were launched in summer 2009 and are probabilistic. The UKP09 package of information includes scientific and briefing reports, key findings and customisable output (including a weather generator) available through a web-site and user interface.